I was surprised at the amount of heat these little pots put out. 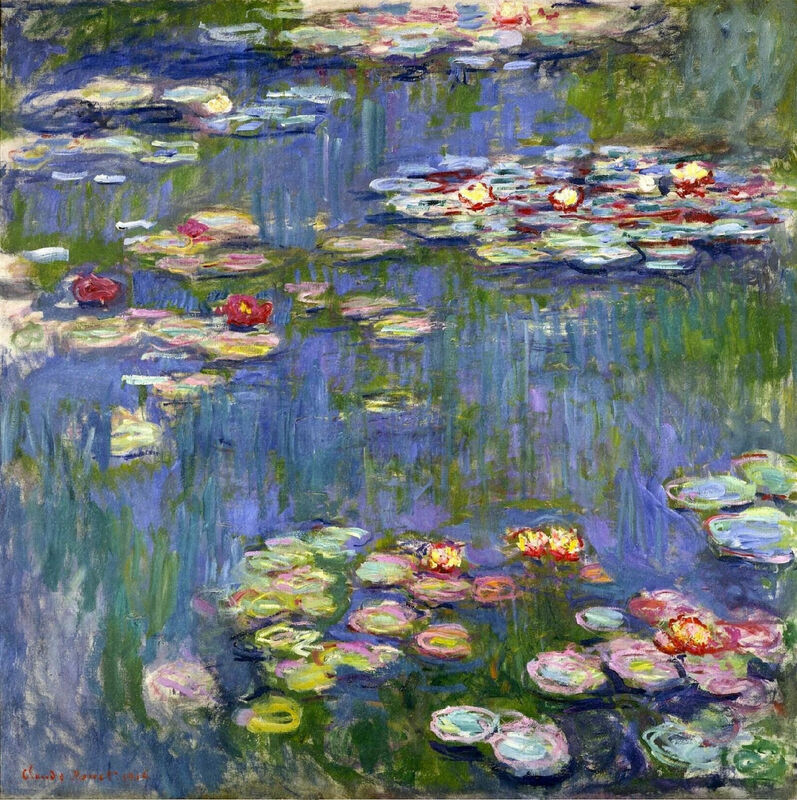 While it certainly wouldn’t heat a house or even a large room, I could see where It would heat a little closed room while I ate my baguette and drank wine and dreamed of Monet. The heater was easy to make. You need 3 tea candles, a small loaf pan, a small clay pot, and a larger clay pot. I can’t really give you the sizes of the pots because it depends upon the size of your loaf pan. 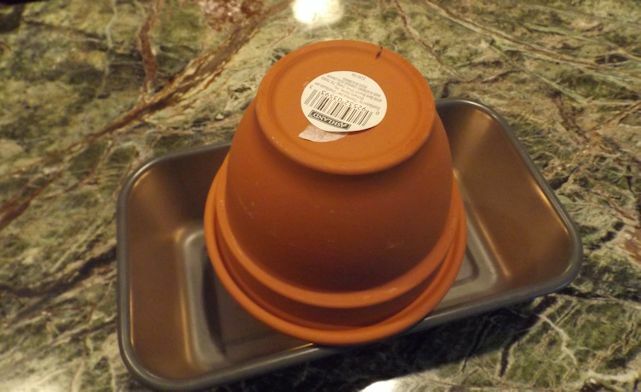 I took my loaf pan to Michael’s Craft Store and quickly tried the pots out before buying.  Find a spot on your counter away from flammables, children, and pets. 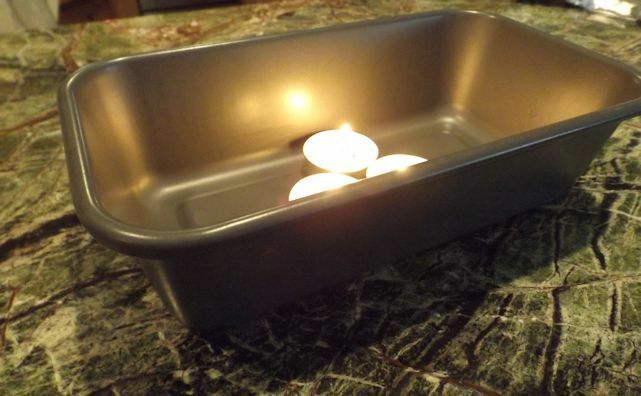 Place the three tea candles in the loaf pan and light them. Put the smaller pot inverted on the loaf pan. Seal the hole in the bottom of the smaller pot. I didn’t get crafty. I just used the price tag. Next, invert the larger pot and place it over the smaller pot. That’s it. 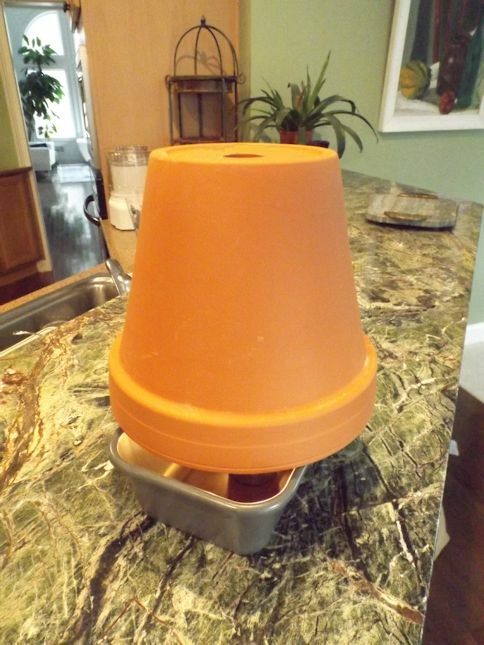 The air is drawn in under the pots, surrounds the warmer small pot and rises out of the hole in the larger pot. If you are still cold, I have another way to warm up. Chicken Soup! 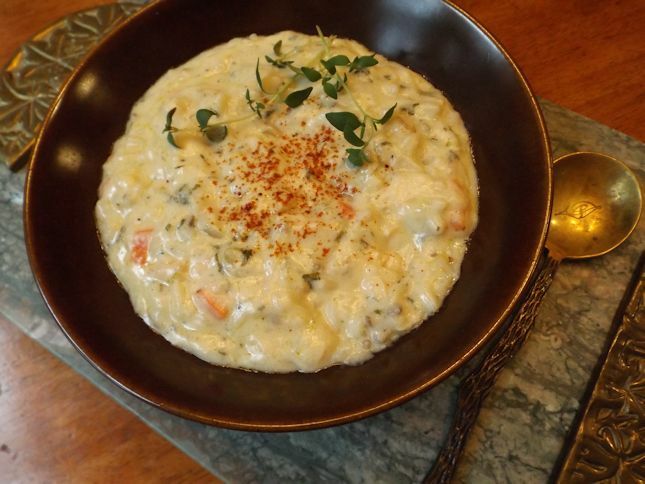 This recipe is from my friend Gina and it is delicious. We all love it. In fact, Davis had friends over and as typical with teens they didn’t wake up till noon. I had made the soup for my lunch but at the same time I was making pancakes for the gentlemen guests. Davis tasted the soup and ended up eating that for breakfast instead of the the pancakes. 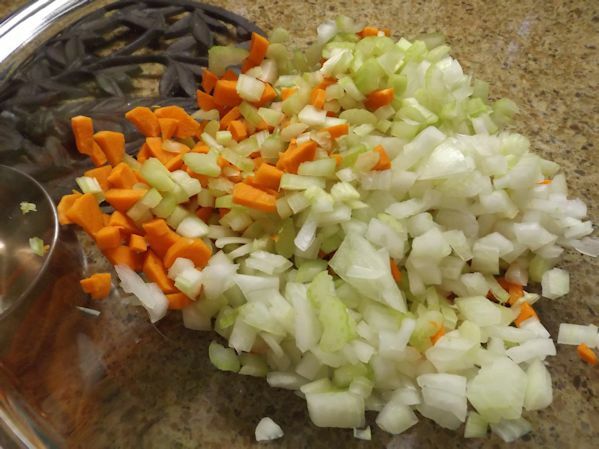 Here are a couple of tips to make the soup faster. Cut all of the vegetables ahead of time. and place in a bowl. Sharpen your knife first!!!! It goes quicker. 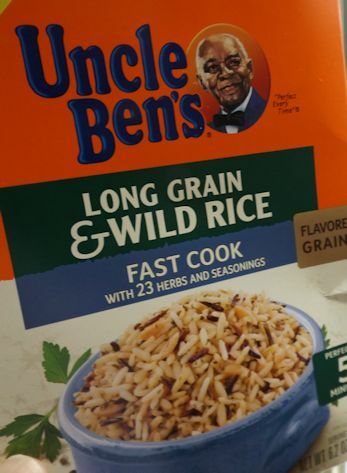 Use the Fast Cook Uncle Ben’s. Can you tell I’m all about speed today? Here’s a bonus photo which has no specific tip. 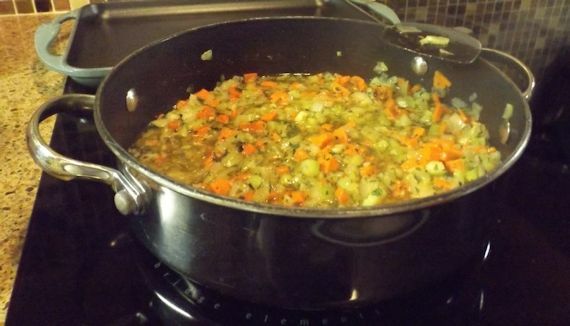 It just shows the sauteed vegetables with the spice packet added. Almost done! I hope you are keeping warm this winter. 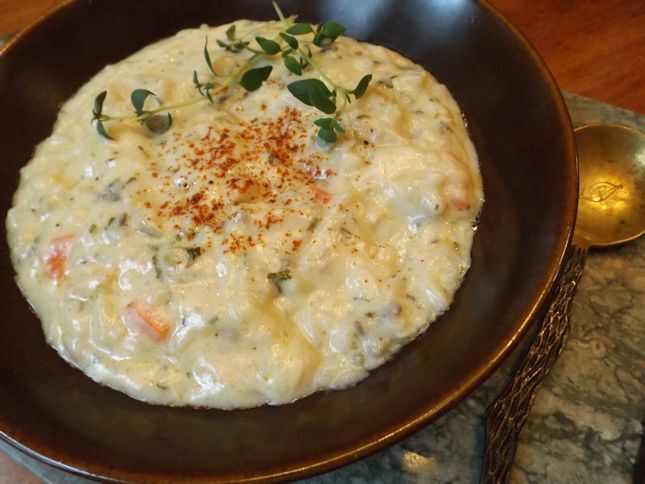 We haven’t really had much of a winter in south Atlanta just enough to make some good soup and relax by a fire….or loaf pan.